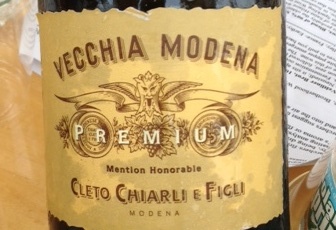 The Cleto Chiarli, Grasparossa de Castelvetro Lambrusco from Emilia Romangna, Italy. We swirled our glasses from the deck of our boat, passing beneath the Brooklyn Bridge, the South Street Seaport, and heading out to pass Lady Liberty. This one would be amazing with pizza. Great to finish our wine tour, and would be absolutely amazing with a pie. This entry was posted in Lambrusco and tagged Italy.